A review of United Republic Health Insurance Company leads to the company name of United Republic Life Insurance Company. United Republic Life Insurance (United Republic) underwent liquidation in November of 1994. Their company policies were then transferred to Commonwealth Annuity and Life Insurance Company. 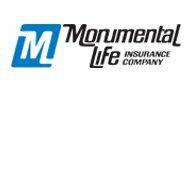 Policies were later taken on by Monumental Life Insurance (Monumental). For your own individualized quote, you can type in your zip code to compare and contrast different health insurance quotes. While United Republic Life Insurance Company focuses mostly on life insurance policies as does Commonwealth and Monumental, there are other companies that can meet your specific health insurance needs. As of now, policies that were from United Republic are being serviced by Spectrum. Spectrum is a division of Monumental. The best way to contact Spectrum is by phone at 1-800-388-7995. Monumental’s parent company is Aegon Americas. The contact information for the parent company Aegon Americas is the same as Monumental’s contact information, but with an additional phone line for media relations: 319-355-4101. Monumental is considered very stable in terms of insurance companies. As of October 1, 2007, they merged with Peoples Benefit Life Insurance Company. Licensed in all states but N.Y. and D.C., they have $88 billion of insurance-in-hand as of December 2010. As of 2010, their assets were in the millions reaching $32,851,000. Liabilities in 2010 were $31,525,000 and total capital and surplus reached $1,326,000. They have been providing life insurance products since 1858. Transamerica Adv. Life Insurance Company of N.Y. While they do offer some health and accident insurance, it is very limited. Monumental’s health insurance includes cancer and disability income insurance only. Ratings for A.M. Best have a range from “A+”+ to F, which is liquidation. These always reflect A.M. Best’s view of the company’s financial strength. Any rating that fits in the range of “A+”+ to B+ is considered either stable. Their credit rating was also high for the long term, which was “AA-” and an outlook of “Stable.” The “AA-” designation is considered very strong with some indication that the rating will downgrade due to market trends that are unfavorable. Other positive ratings come from Moody’s, which is an “A1” rating, and is one of the top ratings given out by them. Two other great ratings from Fitch and Standard and Poor’s were both “AA-,” two other top ratings. While there is not an overall rating for Aegon Americas each of the companies parented by them have ratings all of which are positive. Transamerica Life Insurance received an “A+” rating from A.M. Best, an “A1” rating from Moody’s, and an “AA-” rating from both Fitch and Standard and Poor’s. Transamerica Adv. Life Insurance received an “A+” rating from A.M. Best and an “AA-” rating from both Fitch and Standard and Poor’s. Stonebridge Casualty Insurance only has one rating from A.M. Best, which was the “A-” rating. Transamerica Life Canada received three ratings: “B++” (A.M. Best), “AA-” (Fitch), and “BBB+” (Standard and Poor’s). Transamerica Adv. Life Insurance Company of N.Y. received an “A+” from A.M. Best, and an “AA-” from Fitch and Standard and Poor’s. Transamerica Financial life received ratings of “A+,” “A1,” and two “AA-” ratings. Stonebridge Life Insurance Company received all four ratings: “A+,” “A1” and two “AA-” ratings. Western Reserve Life Assurance Company of Ohio also received four ratings: “A+,” “A1,” and two “AA-” ratings. Mongeral Aegon has not received any ratings. To take a closer look at health insurance rates for different health insurers, enter your zip code now! There is a United Republic Life Insurance is now known as URL Insurance Group. They are still based in Harrisburg, PA. Although they first told me that “there may be a few old guys in the office” who know about old life insurance policies they sold. the sons of the head person at United Republic Life, Gary Clemens, who is now deceased, are currently managing the Life Policy and other operations in Harrisburg. A URL representative explained to me that Monumental Life and TransAmerica own the old URL policies, however, neither of those firms are familiar with United Republic Life or their policies. We have had to contact the Insurance Commission to investigate URL Insurance Group to determine where our old policy is now located, as we cannot cash it.